Calabasas is a quiet, upscale city, located in the southwest corner of the San Fernando Valley. It is home to mostly gated communities, including Hidden Hills West, Calabasas Hills, Calabasas Park Estates, and The Oaks. 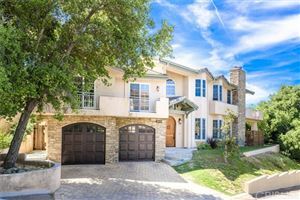 With the Las Virgenes School District, shopping areas, including The Commons at Calabasas, and Historic Old Town– which hosts a farmer’s market every Saturday– Calabasas is a desirable area for young families, business people and retirees alike. It is a short drive to the beach or popular hiking trails, and just 22 miles from downtown Los Angeles. Calabasas is home to several highly rated schools. Public and charter schools in Calabasas fall into the Las Virgenes Unified School District. There are also several private and religiously-affiliated schools in the area. Calabasas is a family friendly city. You’ll find parks in every gated community within Calabasas. The city also has many public parks, including Juan Bautista de Anza Park, which features two playgrounds, picnic areas, a hockey rink and a multi-purpose room. The Park is also home to the Calabasas Pumpkin Festival each October. Looking for an outing for Fido? Head over to the Calabasas Bark Park. There is also the Agoura Hills/Calabasas Community Center, which features indoor basketball and volleyball courts, a dance and exercise studio, and a large banquet hall for special events and rentals. Look for more information on all the parks Calabasas has to offer here. The most popular of shopping areas in Calabasas is The Commons at Calabasas. The upscale retail center features an open air layout, with luxury stores including Kate Spade, Polachek's Jewelers, Williams Sonoma Home and Paper Source. You'll also find a Ralph's grocery store, nail salon, blow-dry salon, Edwards movie theater and several restaurants. Just across the way from the Commons, in the Parkway Calabasas Shopping Center, you'll find a new Trader Joe's Market, Susie's Cakes, as well as boutiques. If you're looking for a larger shopping mall, Westfield Topanga and The Village are just a 10 minute drive away. Whether it's lunch with friends or a nice date night dinner, Calabasas has plenty of places to dine. Calabasas Road features several restaurants including Pedalers Fork, The Six Chow House, and Lovi's Delicatessen. You'll also find a dozen eateries, from pizza to seafood at The Commons. On the northern part of the city, you'll find Saddle Peak Lodge and Sushi Nishi. Here are the latest Top Ten Restaurants in Calabasas according to Yelp.